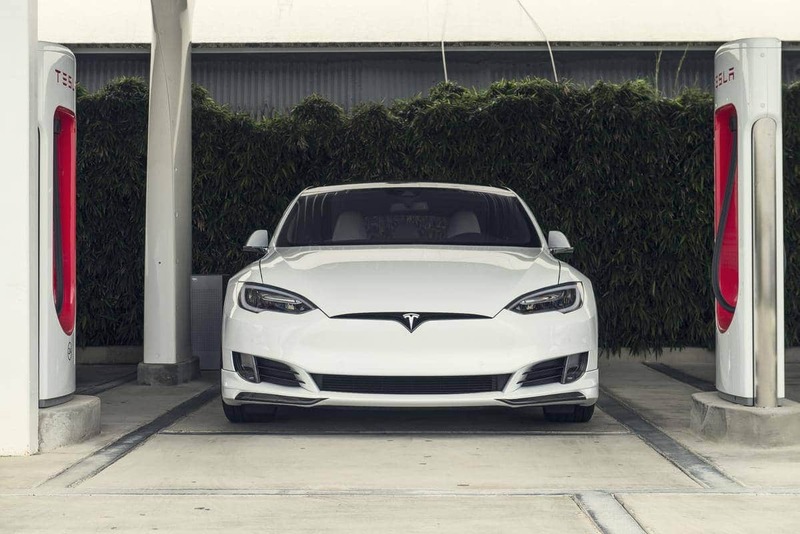 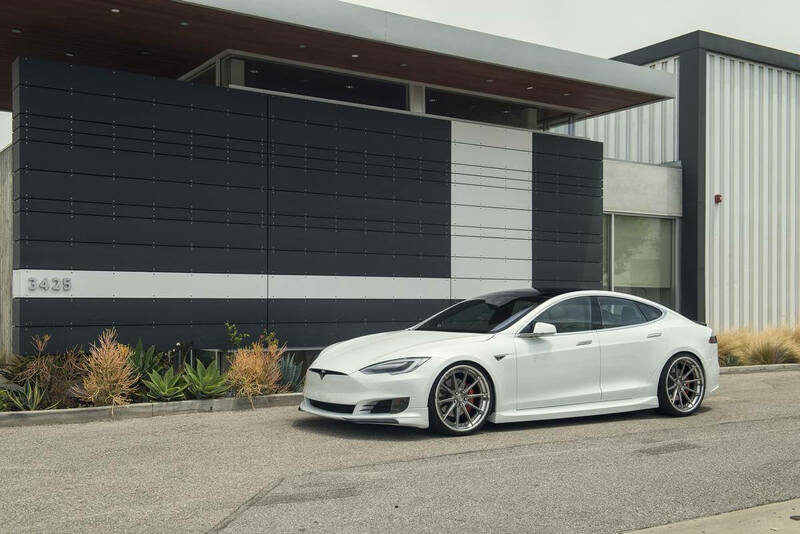 Our local Los Angeles customer Rob came to us shortly after taking delivery of his brand new, facelifted 2017 Model S. has an affinity for high quality and style. 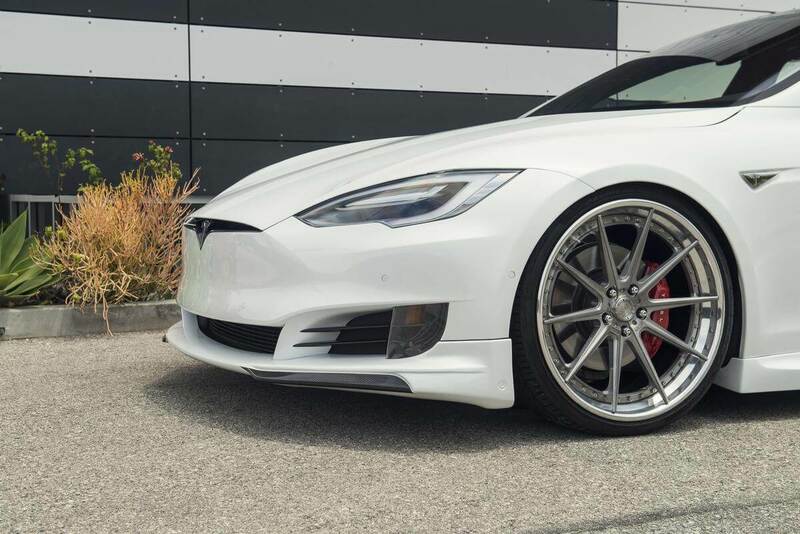 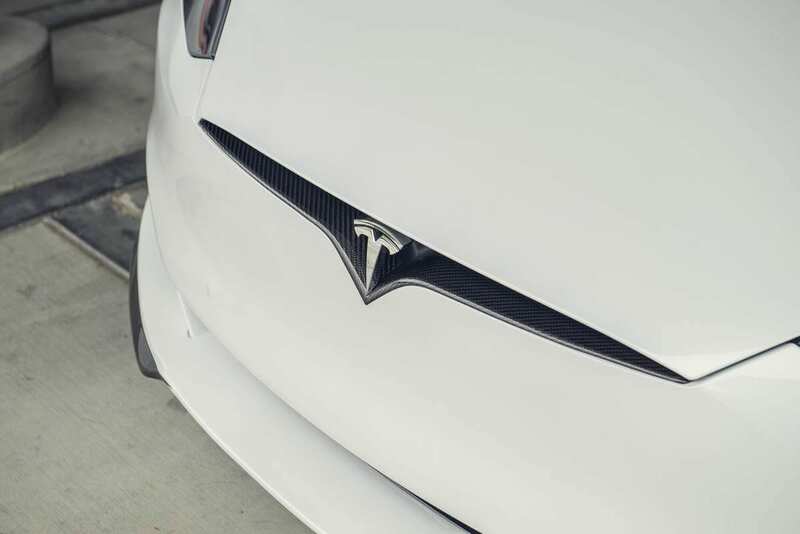 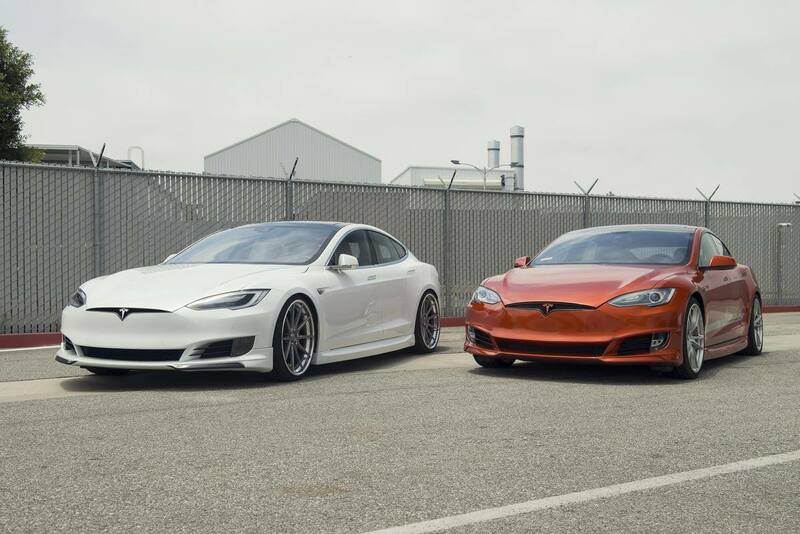 Wanting to have a personalized, unique facelifted Model S, he jumped at the opportunity to be one of the first recipients of our Front Lip Spoiler for the 2016.5+ Facelifted Model S. Opting for custom carbon fiber accents on the impact-resistant urethane lip spoiler added an even more unique accent, while maintaining the durability of the urethane piece. 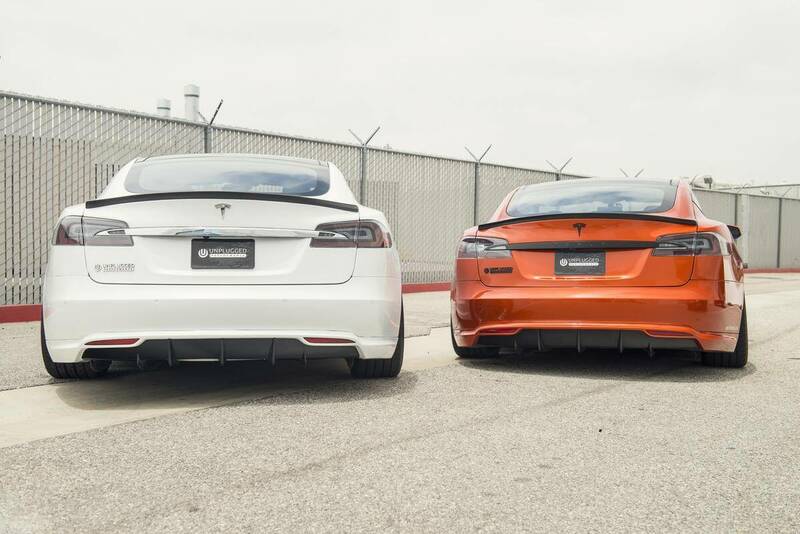 Adding a bit more carbon fiber to the mix, he also opted for our Carbon Fiber converted OEM V-Stripe. 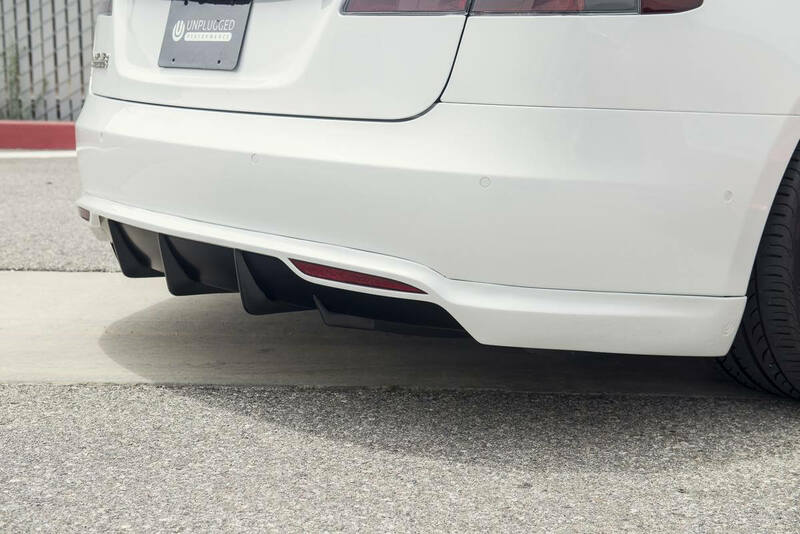 To further stand out from the pack, Rob had us install our Unplugged Performance Side Skirt set, as well as perform a custom retrofit of our Unplugged Performance Rear Underspoiler and Diffuser set. 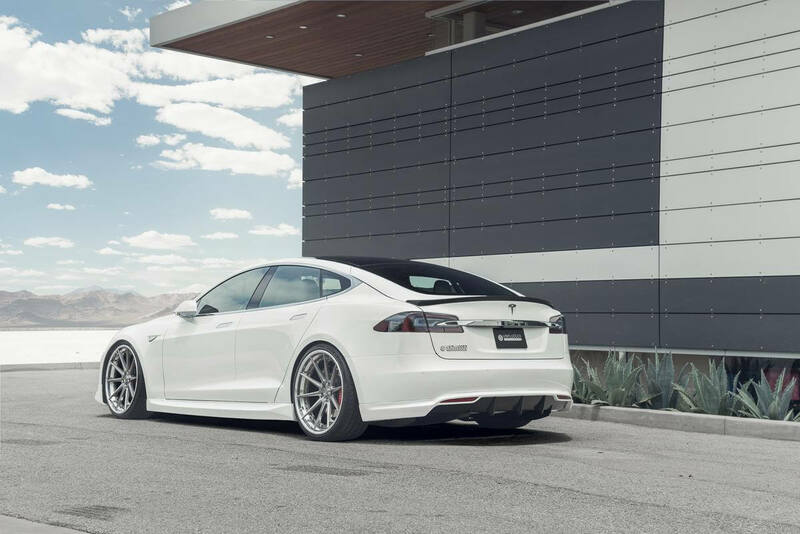 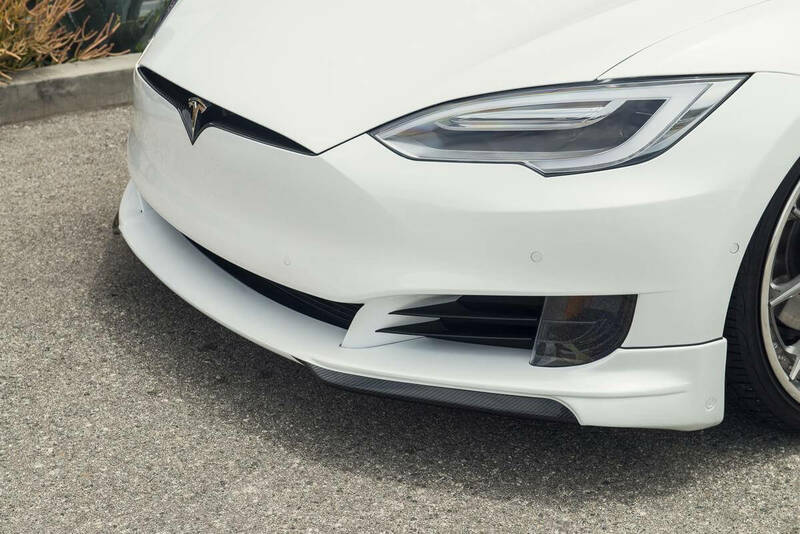 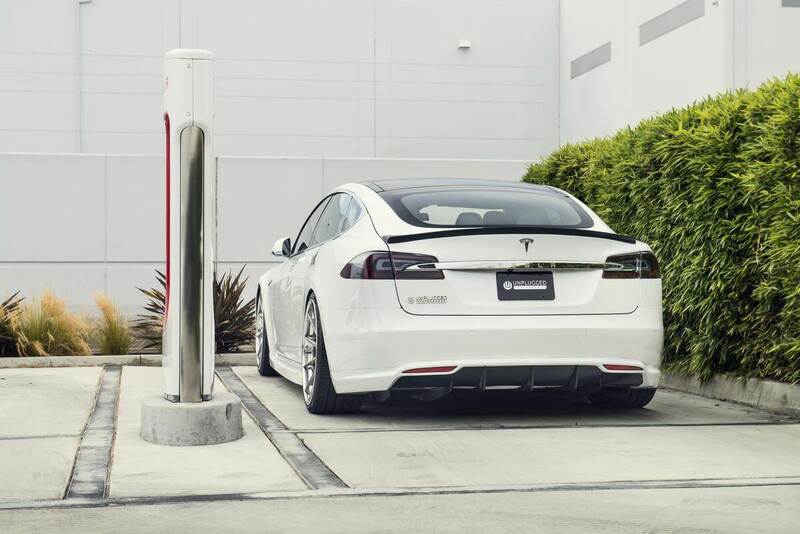 Using a brand new OEM bumper from the pre-facelift Model S, we paint-matched and installed both the bumper cover and Rear Underspoiler and Diffuser to provide a very exclusive combination! 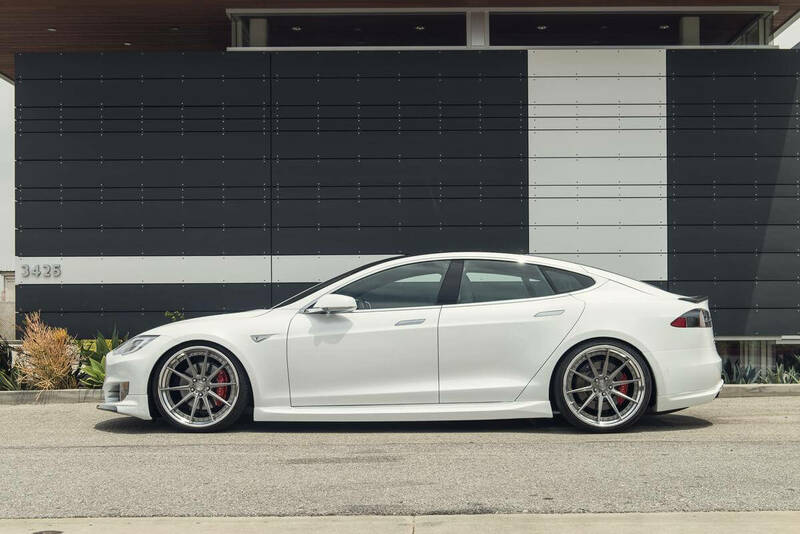 Rounding off the build is our Unplugged Performance Sports Dynamic Air Suspension Upgrade (Lowering) Kit, in combination with a set of custom 22″ ADV1 ADV10 Track Spec CS wheels.